I try to finish all my posts from a particular trip before I head on to another one. 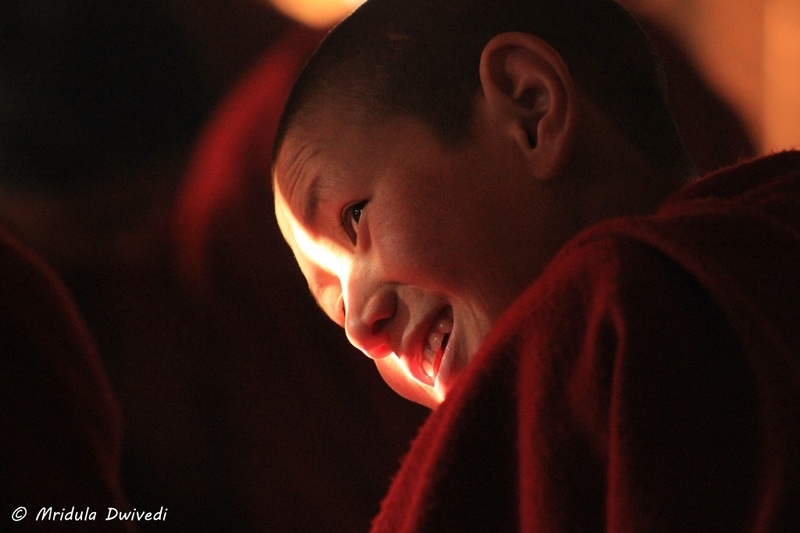 But try as I might, one or two posts manage to slip through, like the Monasteries of Ladakh! 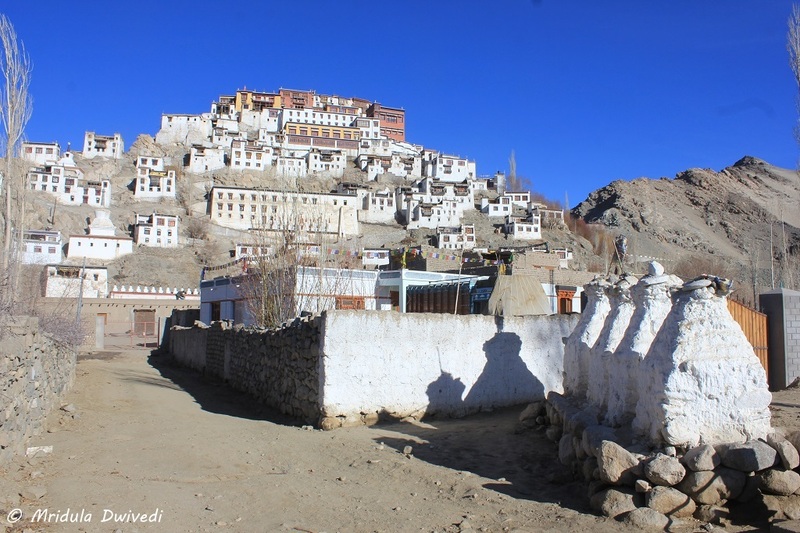 Every village in Ladakh and Spiti have their own monastery and more than religion it is their location that attracts me. 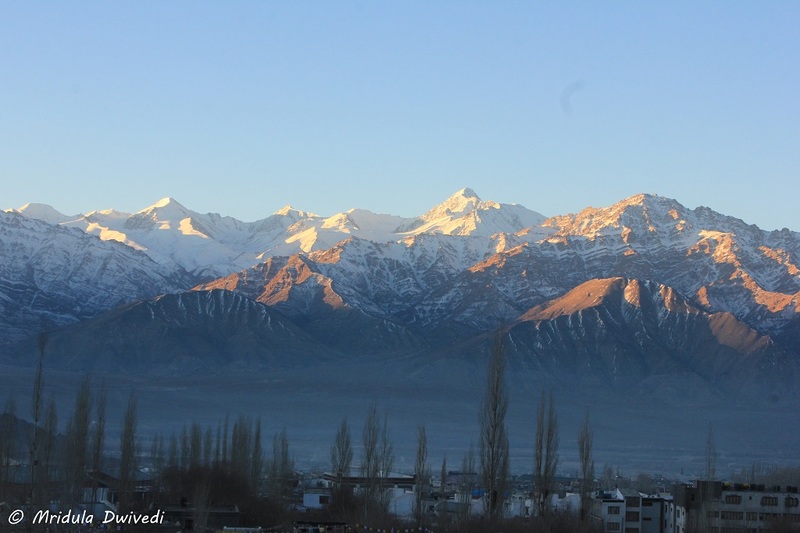 I visited Ladakh in January 2016 and boy it was cold. While we were roaming around, the temperature usually was in the minus. 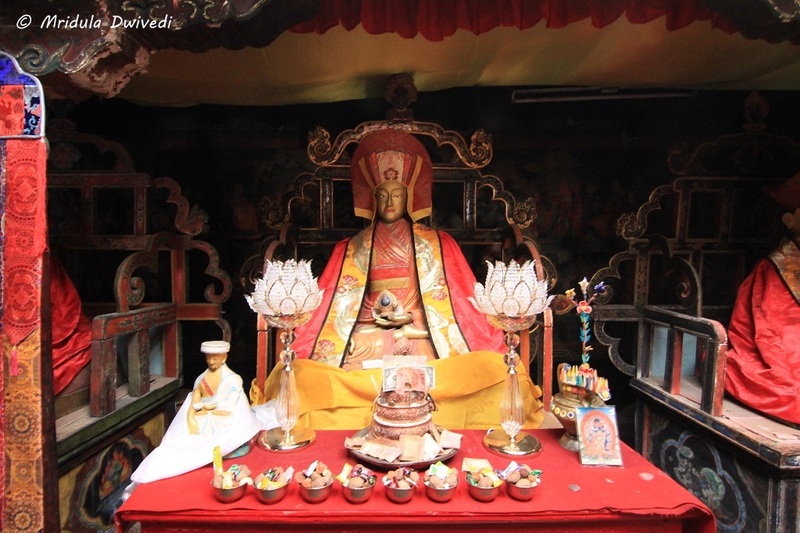 I visited Spituk, Lamayuru, Alchi, Thiksey and Chemdey Monasteries. I take you through them in that order! 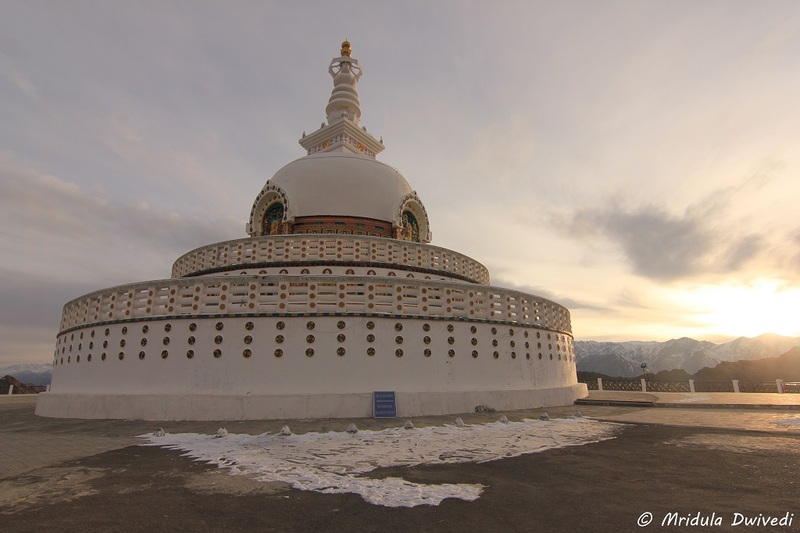 The Spituk Monastery is about 8 Kilometers away from Leh. It is said to be built in 11 century CE. 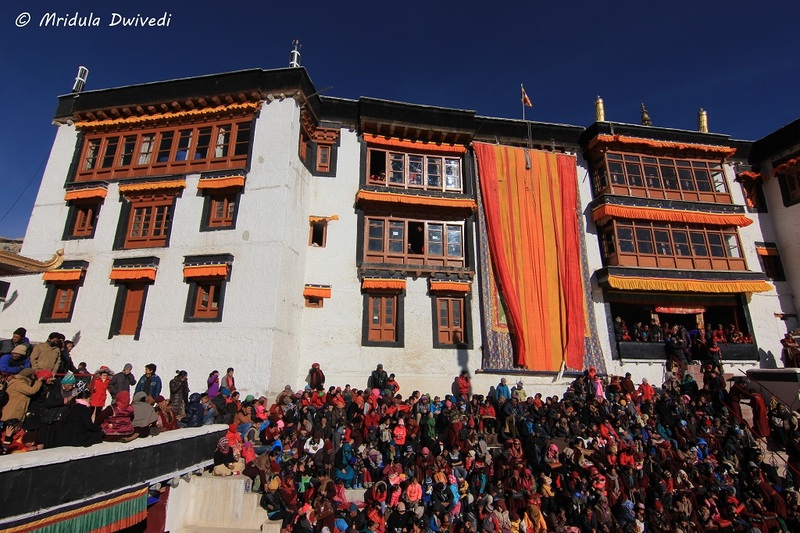 I explored a bit of the monastery but I was lucky to see the winter festival called Spituk Gustor. 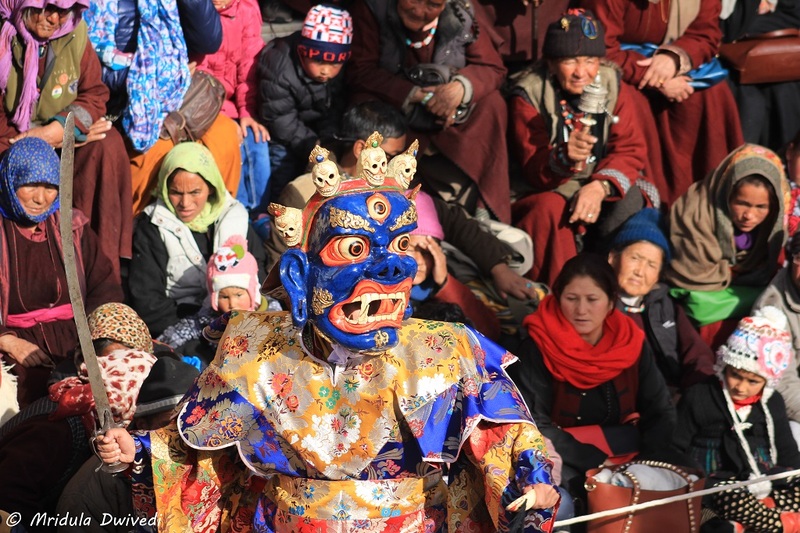 If you ever head to Ladakh in Januray do make sure that you do not miss out on the festival. 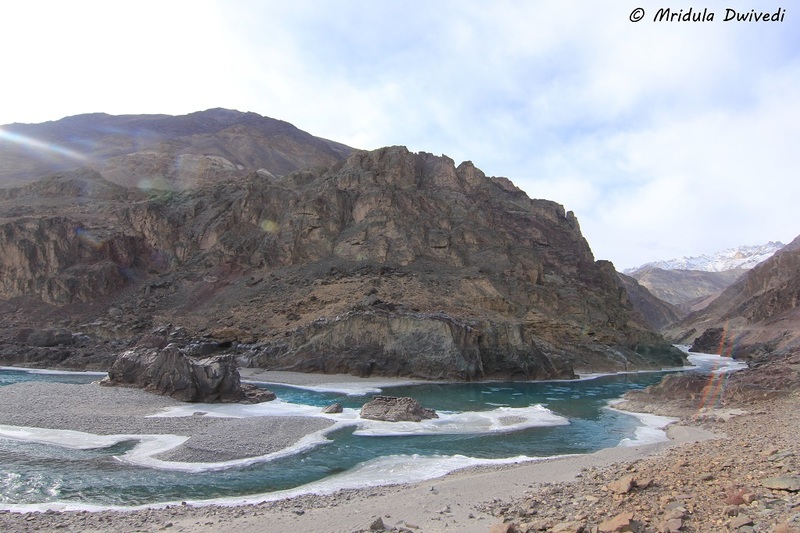 The distance between Leh and Lamayuru is about 125 kilometers, it took us about 4 hours to reach there because we would stop at so many places on the way to click pictures! The day was overcast though. On the way we approached a geographical formation called the ‘moonscapes.’ It is a must stop. 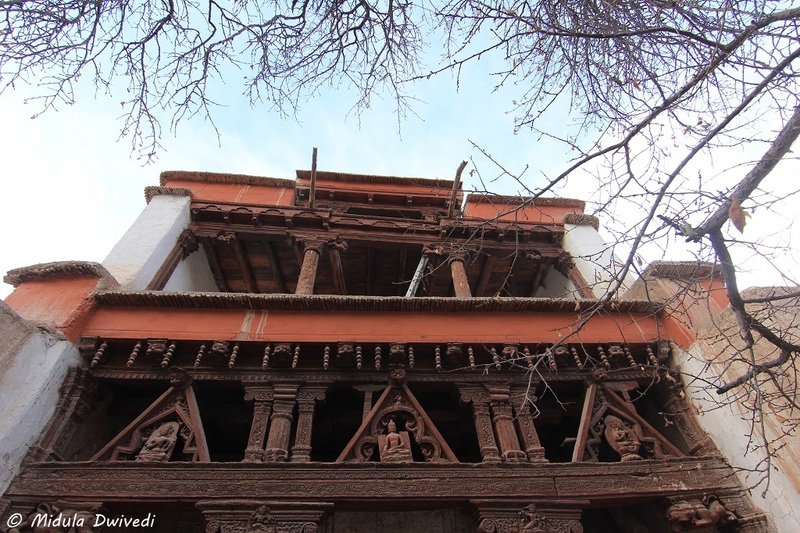 Lamayuru Monastery is also from the 11th century, it was founded by Mahasiddhacharya Naropa. In January we were the only visitors to the monastery! 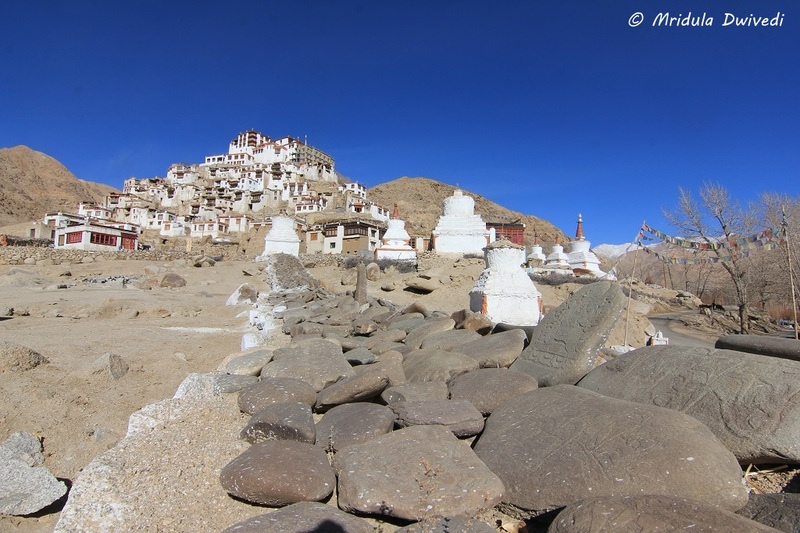 Alchi Monastery is unlike anything I have seen before. The only comparison that comes to mind is Tabo in Spiti. Both have wall to wall paintings within the monasteries. Both are a complex of temples rather than one large building. Alchi is said to be build either in 10th or 11th century. 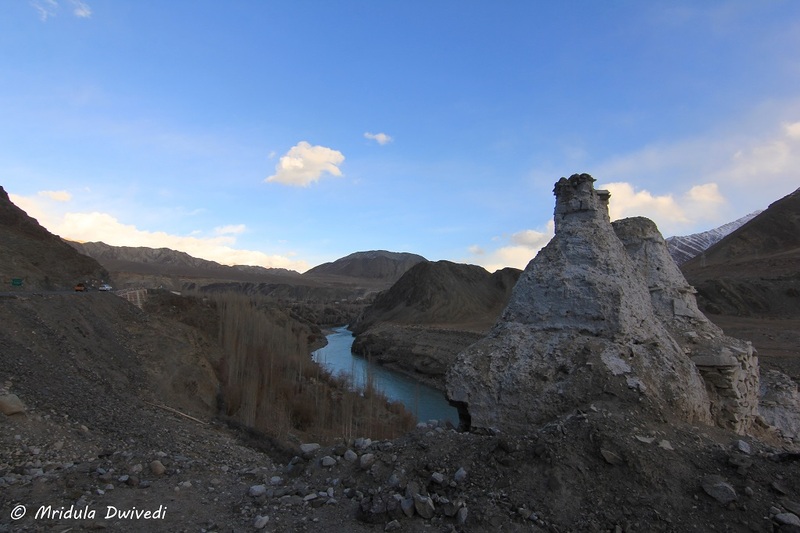 We visited Lamayuru and Alchi on the same day. We had lunch at Alchi before visiting the monastery. It was a very cold day. The caretaker opened the monastery only for us, imagine that! 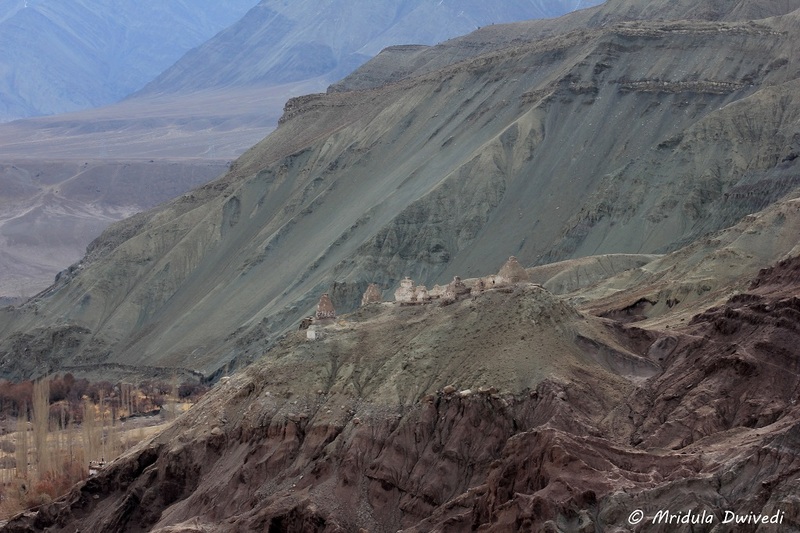 Photography is prohibited inside the Alchi Monastery (Tabo too) because it damages the old paintings. Before you think I clicked the picture inside, this is an outdoor gate at the Alchi Monastery. 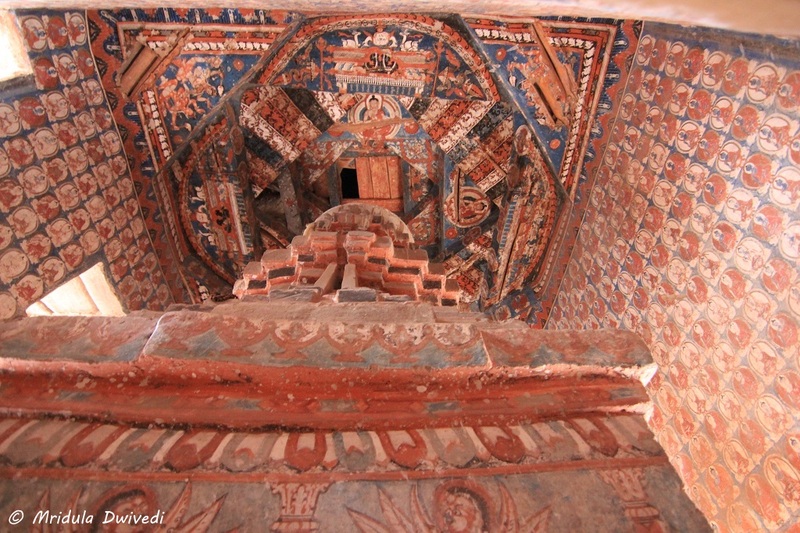 It is painted in the same style as the walls inside the monastery. 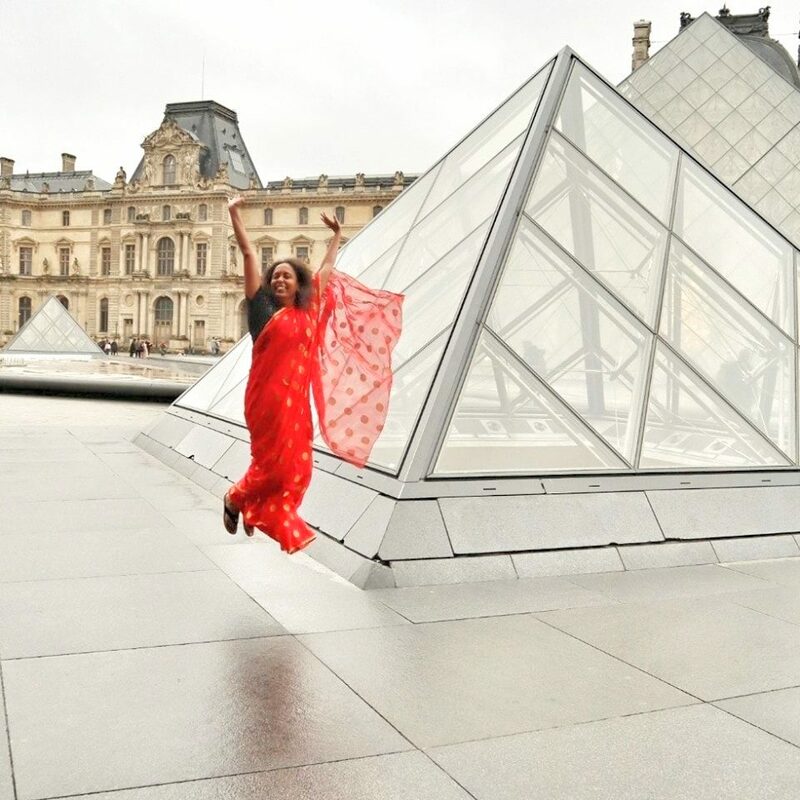 This is one place where you are allowed to click a picture of the paintings. 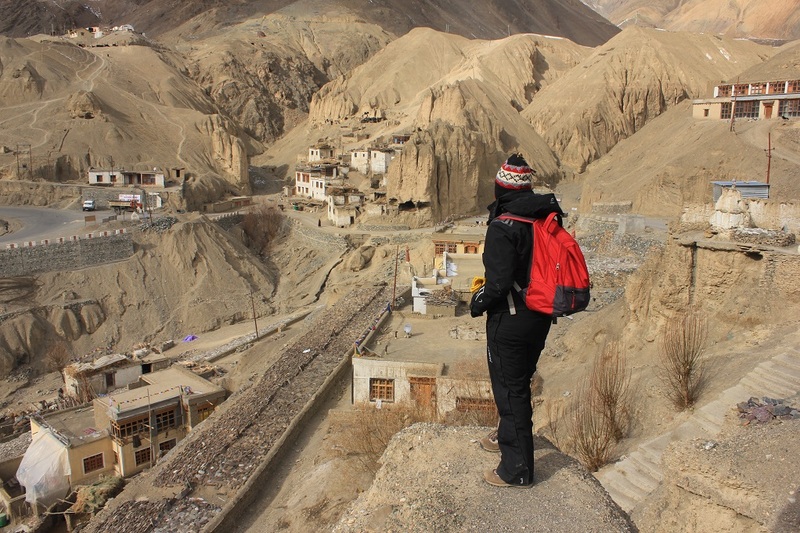 Thiksey is about 11.00 km away from Leh. The monastery was built in 1430. It is a grand place. We attended the morning prayers at the Thiksey Monastery. 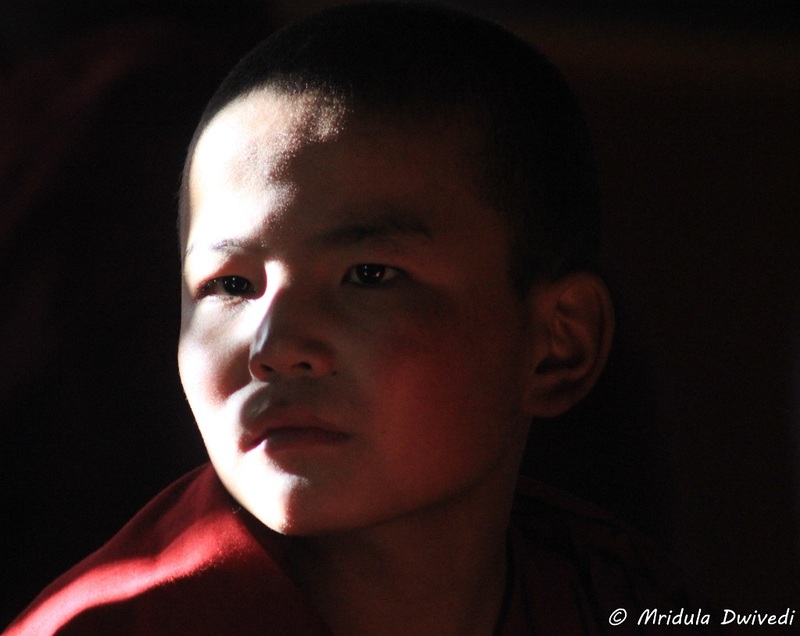 In the monasteries anyone is welcome for the prayers. It is also not considered rude if you get up before the entire ceremony is over! 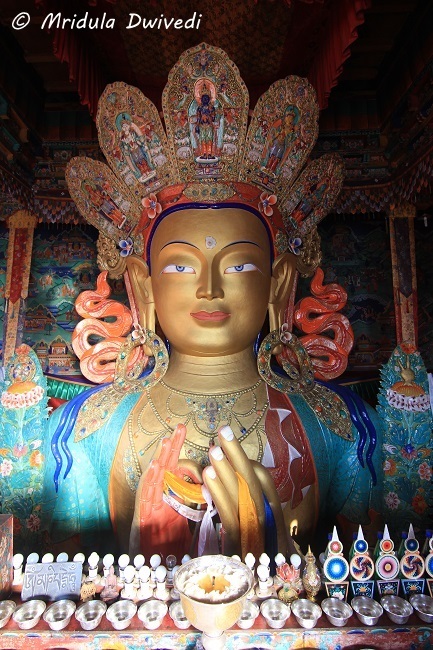 The Maitreya Buddha Statue is one of the most recognized pictures from the monasteries of Ladakh. 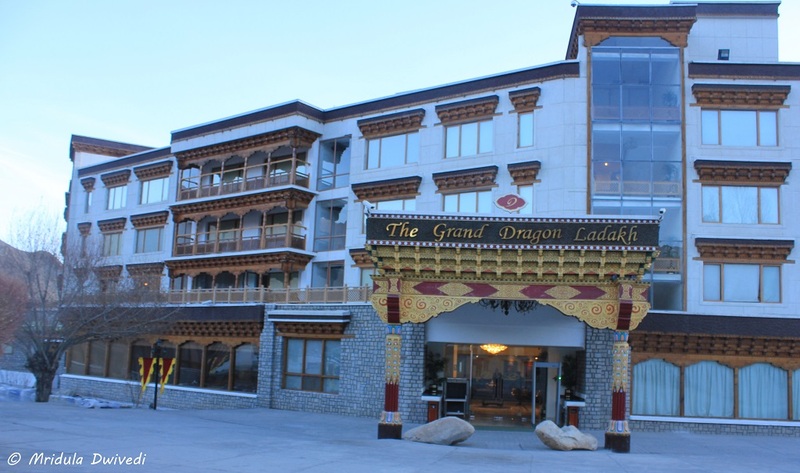 It is grand, almost two stories tall and utterly mesmerizing. 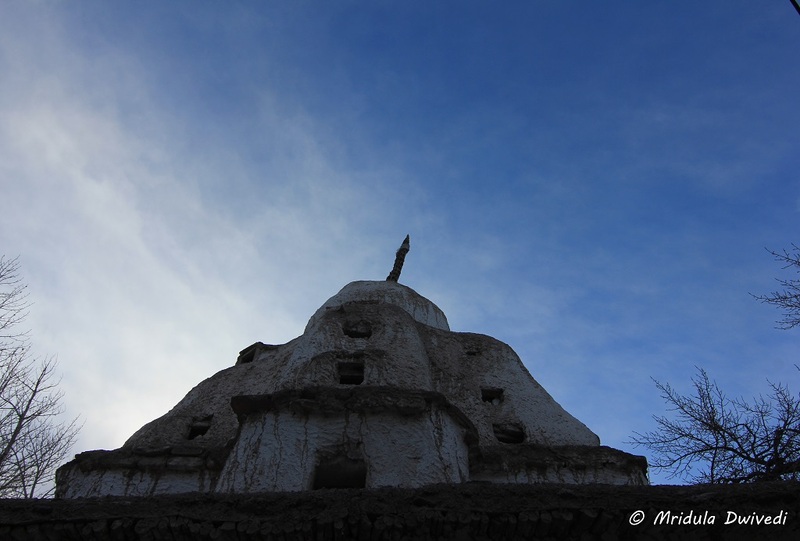 The Chemdey (also written as Chemrey Monastery) was the last monastery I visited. It is not far from Thiksey and I visited both on the same morning. 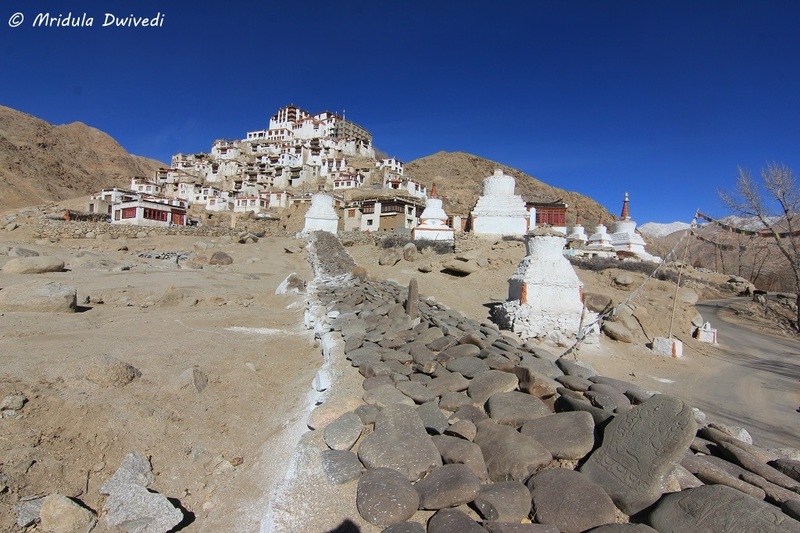 I loved the monasteries in Ladakh for their stunning locations too. They are often perched up on the highest slopes and the view around them is mesmerizing. 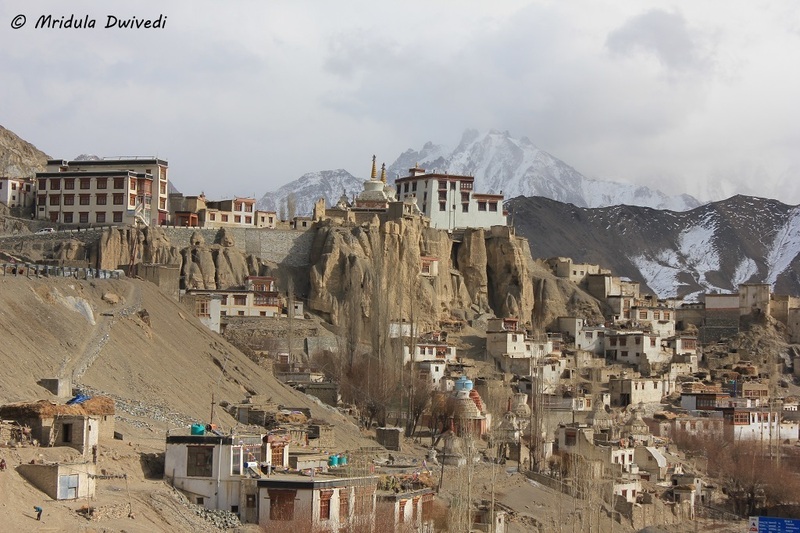 There is something so awe inspiring about the monasteries of Ladakh. I wonder how were they built in that ancient a time. How did they manage to survive for so long? But what I like most is their location, always majestic, always dramatic, always stunning!